When it comes to grabbing headlines and remaining topical, the aviation industry never disappoints. Between arguing their case for ongoing fuel surcharges, to the spat between American and Middle Eastern airlines, or the devaluation of popular frequent flyer programs, there’s no chance of a dull moment. As an intrepid traveller, flying is right up there among some of my most favorite pastimes. Over the years, I’ve been fortunate to experience travel on a vast number of airlines, and I’m always an interested observer of how each approaches the exercise of applying their brand identity to the onboard experience. From celebrity endorsements to the ultimate in blingtastic travel, this is undoubtedly an industry that’s fiercely competing to capture hearts and minds. And to do so, airlines are falling over themselves in the quest to find new and engaging ways to connect with travellers. 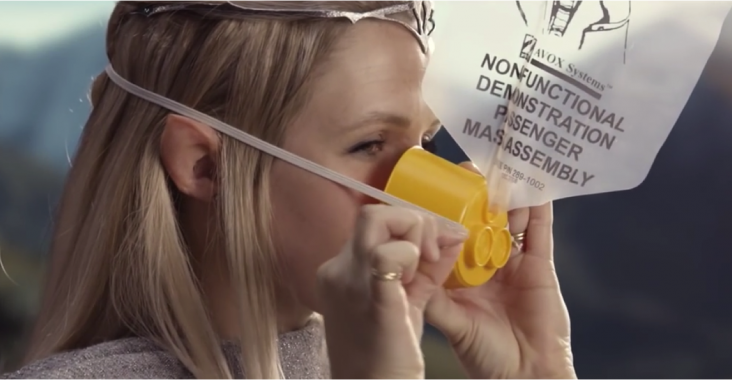 No areas are left untouched, as evidenced by a new breed of videos aimed at adding a bit of brand personality to the often tedious staple that is the pre-flight safety briefing. Asia’s self-proclaimed boutique airline, the safety video from Bangkok Airlines is a fun, frisky homage to the K-pop phenomena that’s been a mainstay of Asian popular culture for many years now. There’s tightly choreographed routines and an energetic display of dynamic Thai hospitality that aligns well with the brand identity of this young airline. In a seemingly innocuous competition of one-upmanship, Air France – in typical French manner, has come up with an aircraft safety video that is, well… very French! It perfectly compliments the visual identity of the brand campaign that’s been running over the last year, and has more than a touch of chic to engage and amuse. However the king of all safety videos accolade, hands-down belongs to Air New Zealand. Along with having an excellent premium product, over the last decade they’ve carved themselves a unique brand identity that holds its own. I admire the tenacity and ingenuity of the airline’s marketing team to marry together brand zeitgeist with popular culture. By finding a tone of voice that’s friendly and uniquely ‘Kiwi’ in flavor, their advertising has taken it’s place alongside the All Blacks and Tourism New Zealand as one of the country’s true global ambassadors. They say the underdog tries harder, and while Qantas may lead the brand recognition pack when it comes to routes to Oceania, Air New Zealand gets the popular vote for brand relevance that’s clever, and in tune with our times. Bravo.